Restored antique vintage pianos have a special character and charm about them. Each one of these pianos is unique, and has a certain appeal that is sometimes hard to match with a new instrument. Here at The Piano Workshop, we will restore your piano to the highest standard of workmanship. Our experienced technicians strive to restore these vintage instruments back to their original grandeur whilst retaining the special character that these older instruments have. We work to restore their musical qualities along with the beauty of appearance. Thus enabling the instruments to once again be played, admired and loved. These restorations are carried out with careful use of appropriate materials so that each piano retains its individual “antique” style. We place a great emphasis on attention to detail by researching, locating and using the most suitable strings, felt, leather, timbers and finish so that every instrument will look and perform at its very best. Many old instruments were finished with shellac, and should rightly be refinished the same way. French polishing is a labour intesive, time consuming method, but is the only way to preserve the original look and feel of your piano. At The Piano Workshop we offer a complete restoration and rebuilding service for the player piano. 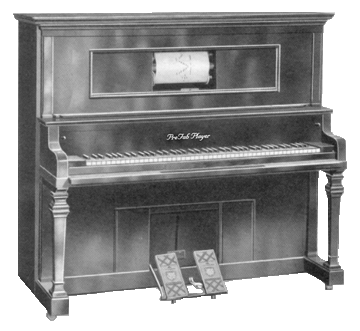 The player piano, or Pianola as it is often known, had its beginning in America in the late 1890’s and its heyday in the period of 1910 through to 1925. We offer a specialist repair & restoration service for the square piano. We aim to uphold the history of these instruments and maintain the use of traditional materials to preserve the authenticity for future generations, with the purpose of returning the instrument to a playable condition.